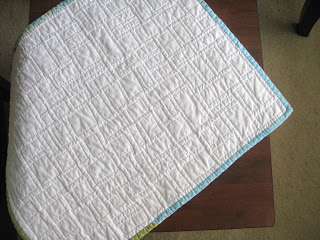 Here is the first option for finishing your off center squares baby quilt. See my previous post for the tutorial. 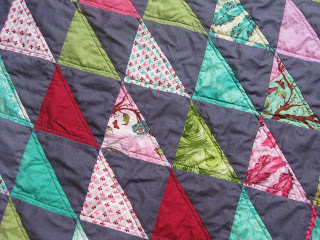 You can see I chose to use straightline quilting. 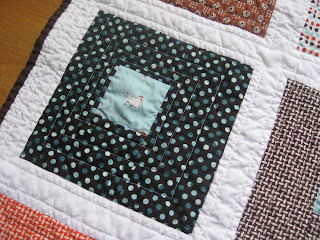 I stitched in the ditch around each dog square, and then continued in a square spiral for the rest of the block. 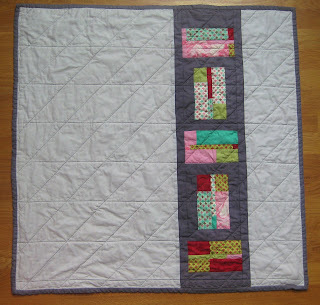 I kept my lines straight but varied the space between lines to fit the off centered-ness of the block. Hopefully the photos illustrate what I mean. 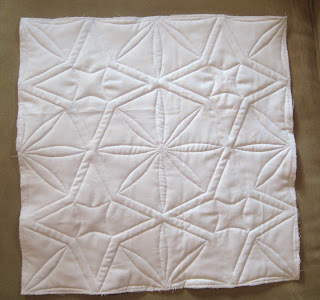 :) I then stitched 1/2 inch from each square in the sashing. 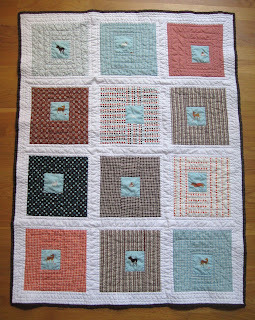 I did three rounds at the edges of the quilt. 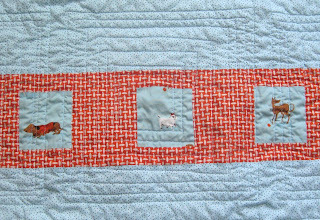 I pieced the back with three more dogs in a strip of Katie Jump Rope orange basketweave. 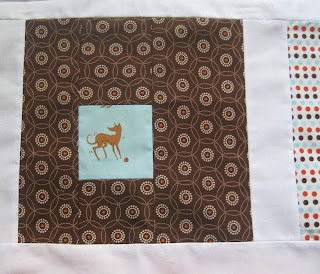 The main backing fabric is an aqua with a very small brown dot. 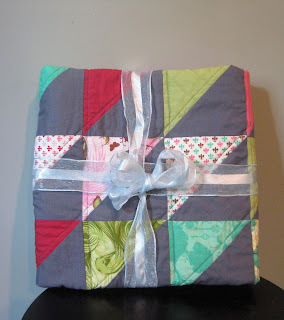 I bound it using a 2 1/2 inch double fold binding, machine pieced to the front and hand stitched to the back. I used Kona chocolate. 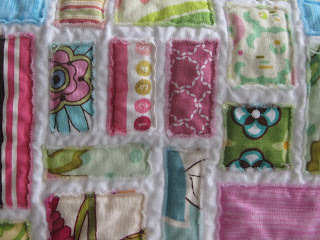 I'm planning a very different finish for Out for a Walk #2, so stay tuned! In honor of all the fun I've been having with this blog lately and all your sweet comments, I'm giving away Plume Sails. 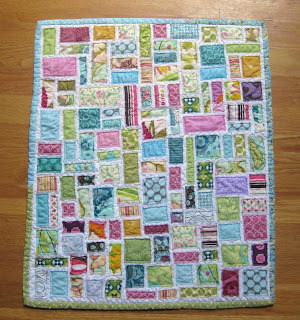 The quilt is 30 inches square and features the Plume line from Tula Pink(who is having a great giveaway herself, by the way). 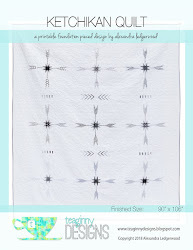 Since she and Moda were generous enough to donate the fabric to my guild, I'm passing the love on to you in this giveaway! 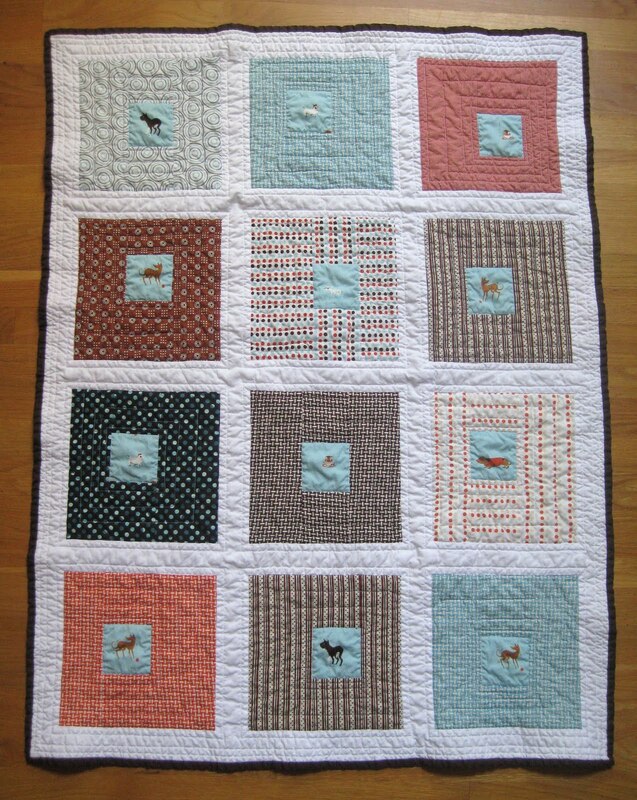 You can see more pictures of the quilt in my previous post. 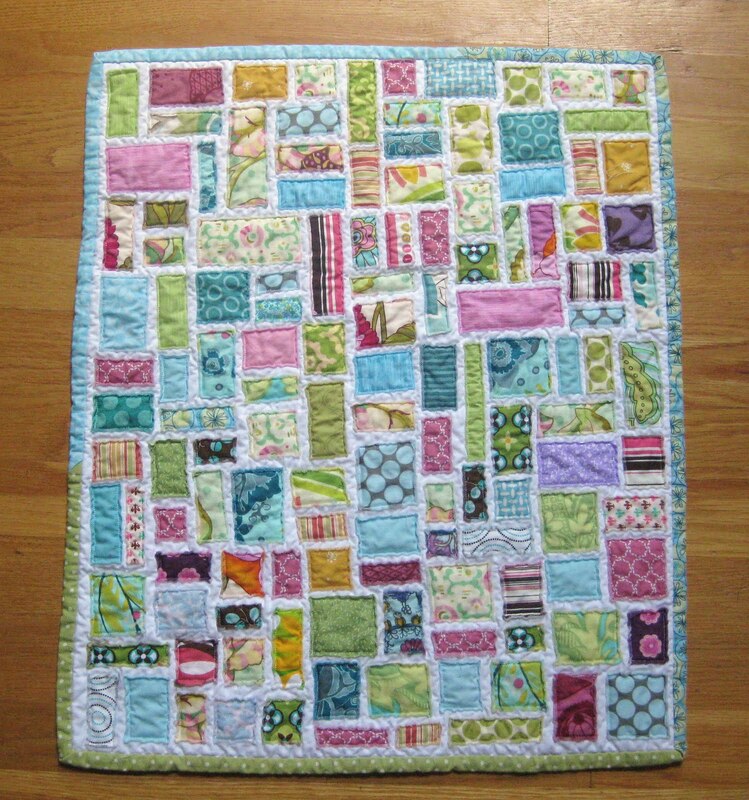 Just leave a comment telling me how you'd use the quilt, and I'll use a random number generator to choose a winner May 1st at 8pm. 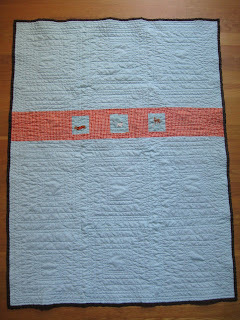 Please only enter if you'd actually like to have the quilt (not to sell it, please). 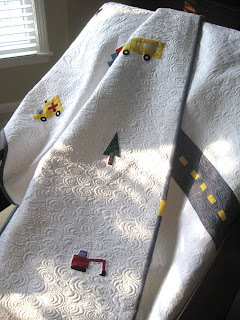 Another fabulous use for scraps - even the tiniest - is this tickertape doll quilt. 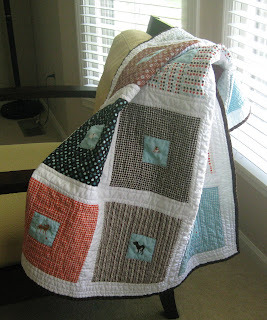 Amanda Jean has a tutorial over on Sew Mama Sew. 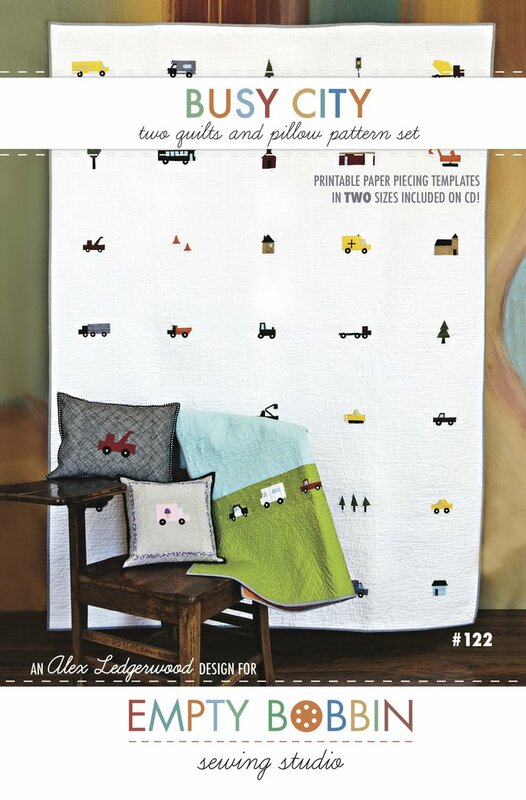 Just keep a basket on your cutting table and throw in tiny scraps as you work on other projects. 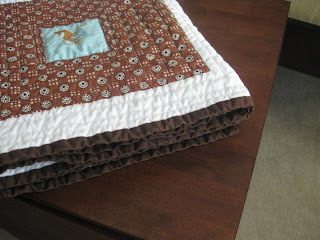 When they've piled up, cut a front and back for your doll quilt and sandwich them with batting and pin baste. 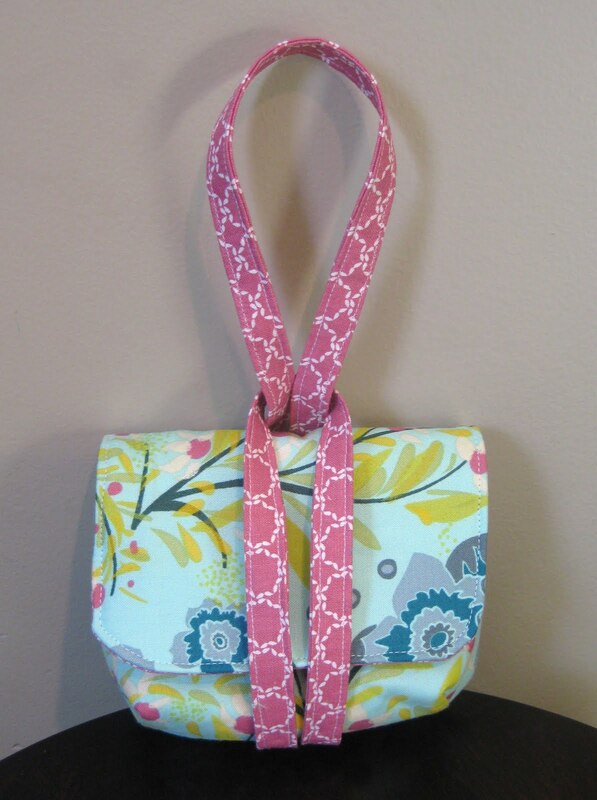 Then sew on your scraps as you have time here and there. In no time it's done. 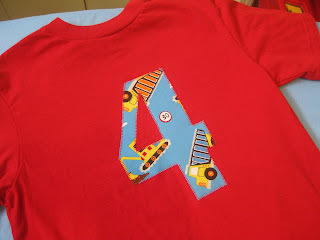 Very fun filler project. 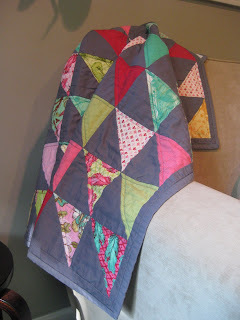 I used up a lot of scraps of my favorite fabrics, and I love how this turned out. 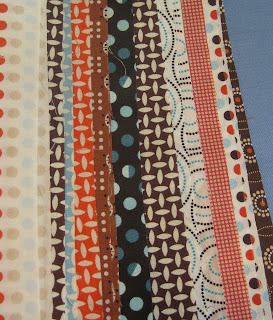 I only used scraps in a few color families, but you could go completely scrappy. 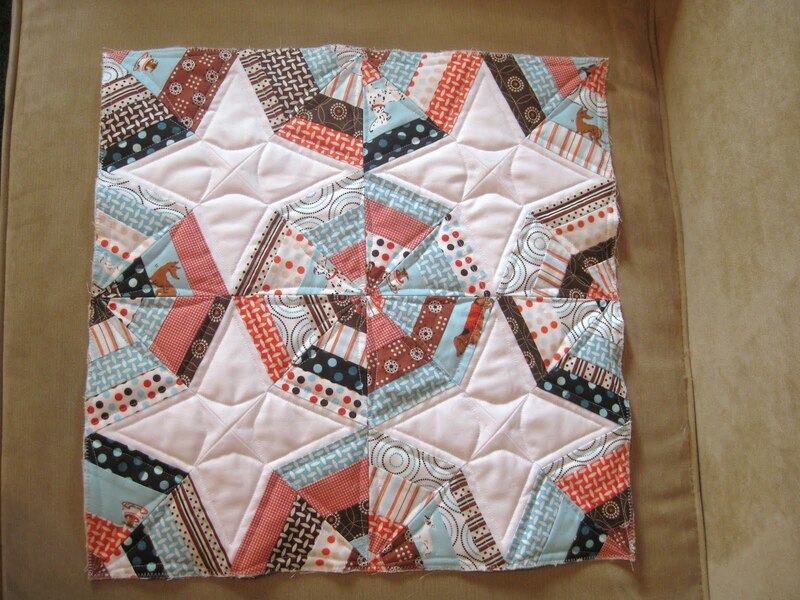 The best part about this project is that when you're done piecing it, you're also done quilting it! Want it to come live with you? It's in the shop. 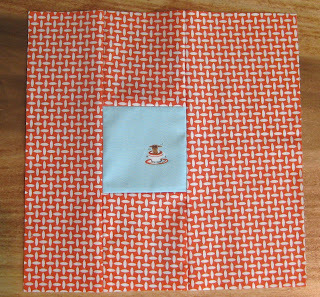 If you've taken a look at the tutorial for Out for a Walk, you know I called for some serious trimming of centered, square in a square blocks to make them into off center squares (honestly, this is because I hate to measure lot of little pieces - I'd much rather trim a block to make it perfect - but if you don't mind measuring, you can always check out the Sparks Baby Quilt). Many of you may have cringed at the waste. Don't worry, none of those strips need to be wasted! 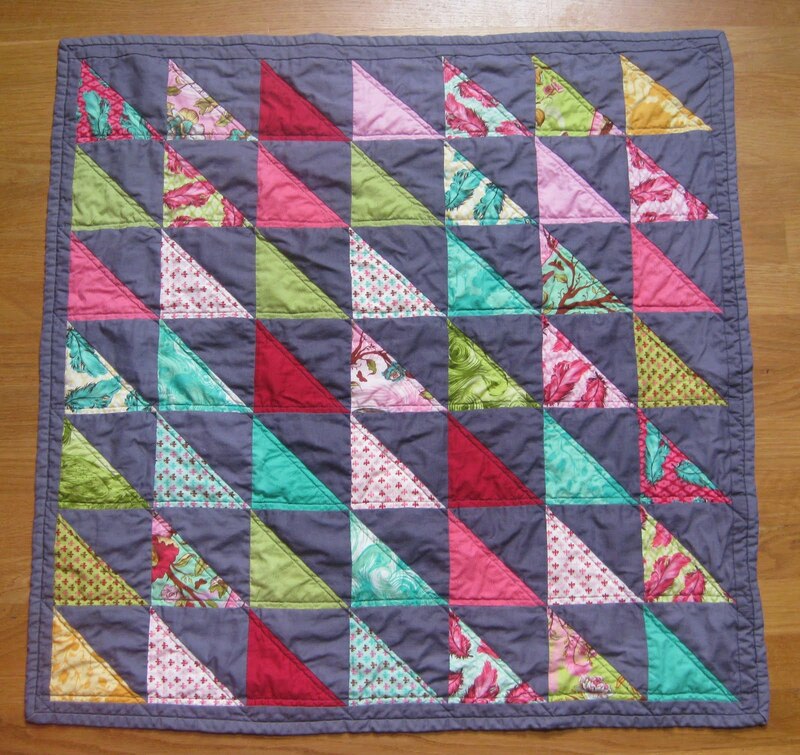 I saw Elizabeth Hartman's spider web block over at Sew Mama Sew, and knew it was the perfect use for the leftover strips from Out for a Walk. 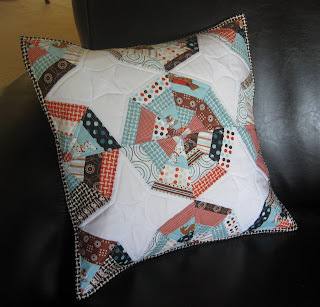 And now you've got a coordinating pillow! I actually think I love the pillow even more than the quilt. 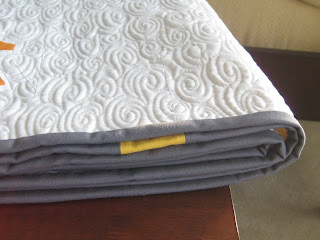 My favorite part of this pillow can best be seen before the pillow was put together. 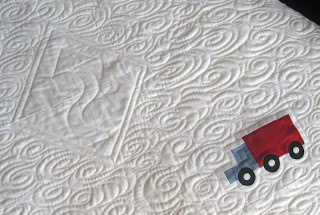 I am so excited about the quilting I was able to do, with just a walking foot and free hand curves. Update: it is now available in my etsy shop. 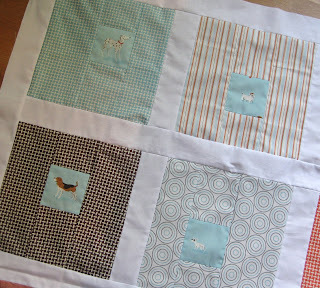 Here is the pieced top for the doggy quilt for my new nephew. I'm calling it Out for a Walk. I enjoyed making it so much, I actually made two! 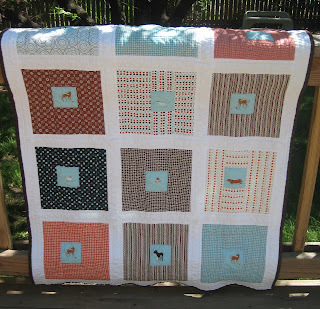 You can make this simple, fun quilt too using my tutorial. I'd love some feedback, so please let me know of any points which are unclear. Oooh, and I'd love to see pictures if you make one of your own. 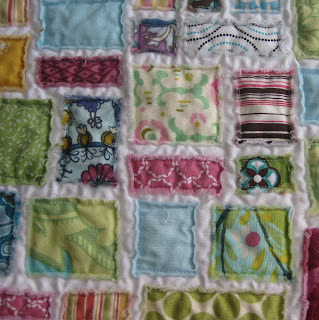 I think these off center squares would work well with a variety of feature fabrics. 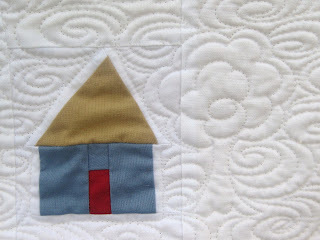 I'll be posting pictures of two options for quilting, backing and binding soon. 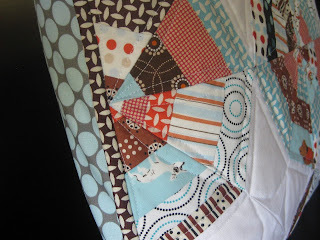 I'll also show you a great way to use your scraps from this project for a coordinating pillow! We had a fabulous runway show last night at the KCMQG. Project Plume was definitely a success. 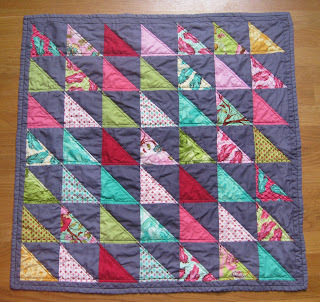 Here is my entry, and check out Tula Pink's blog soon for some pictures of other awesome quilts from the challenge. The dark gray is Kona coal, and the lighter gray on the back is an Ikea sheet. 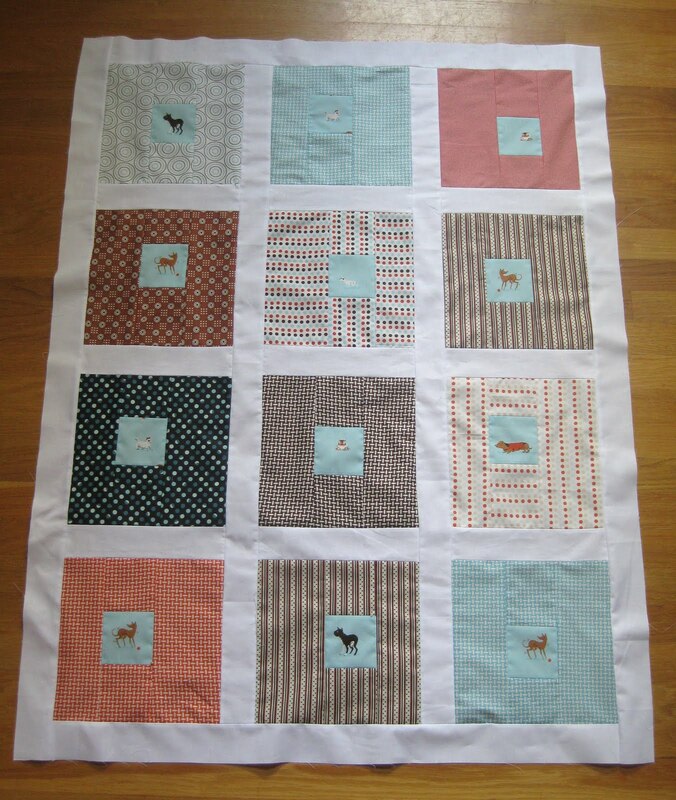 I just started the quilt using Heather Ross' dog print - it's for my first nephew! Here's a sneak peek. I created a very simple method to make the off center squares. I'm writing a tutorial, to share with you all, as I go along. 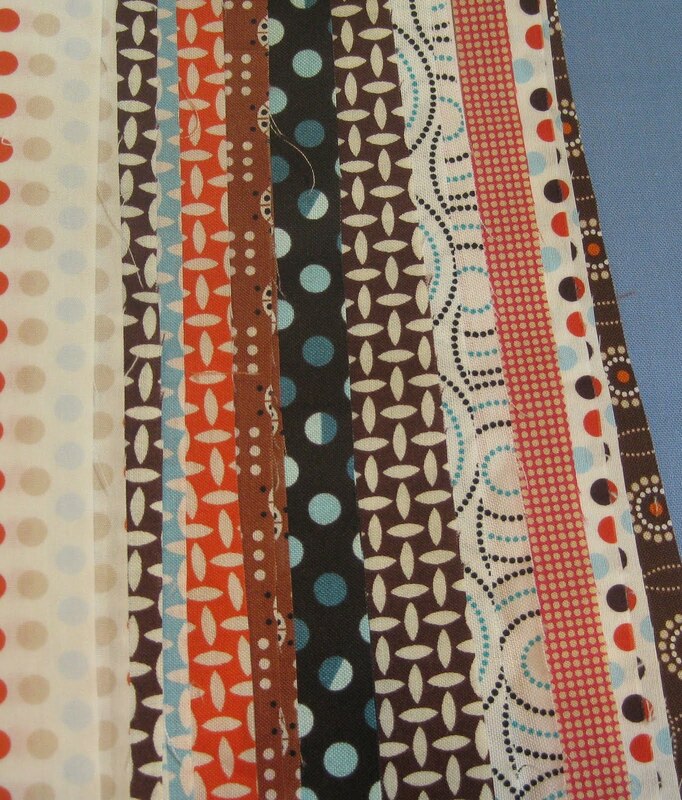 This print byAnna Maria Horner is currently my favorite fabric ever. 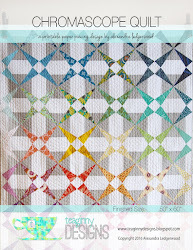 The pattern by Keyka Lou is really well written and pretty easy to make. I need to make another one for myself immediately. I've already made four, and I see more coming up. I think they'd be great gifts for Mother's Day, so I'd better get on the ball. 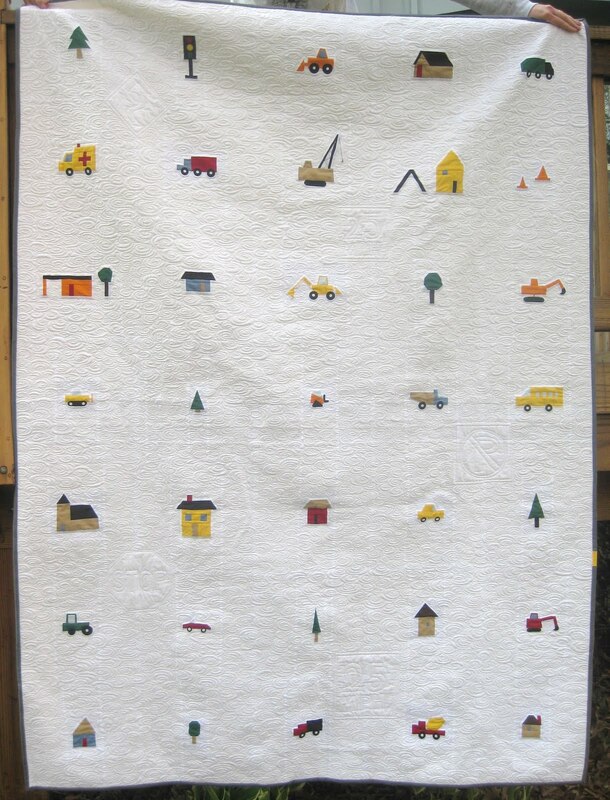 I started making this quilt, for my son, way back in the fall when I saw this quilt on flickr. 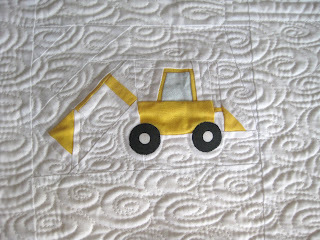 I took that inspiration in a new direction for my construction crazy little boy. 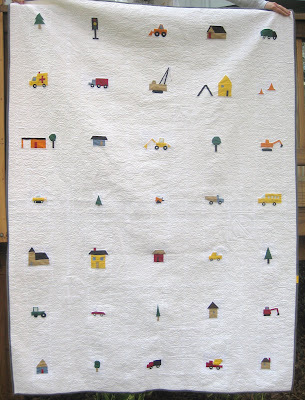 Busytown is 60 x 80. 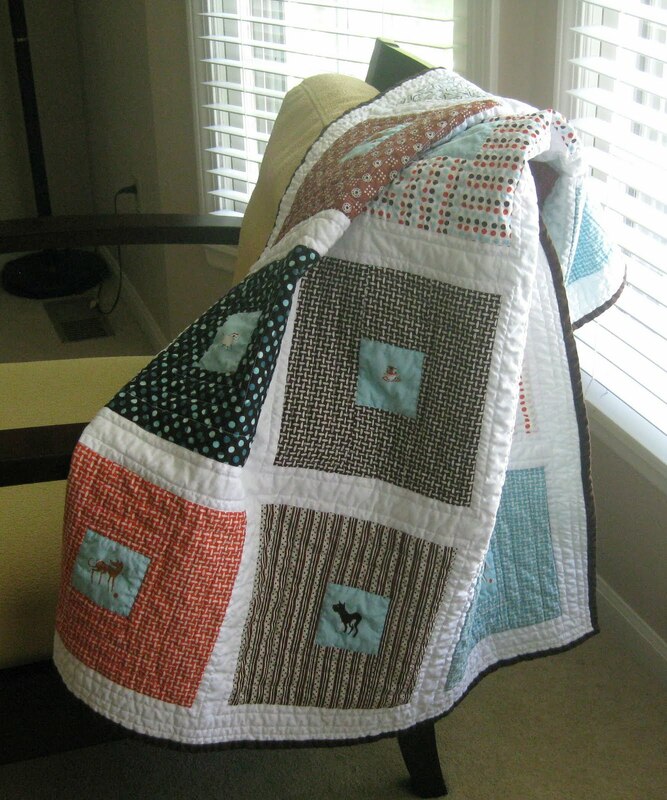 The quilt is my own design. It was not paper pieced, aside from the barrel of the cement mixer, which I just could not get right any other way :) . 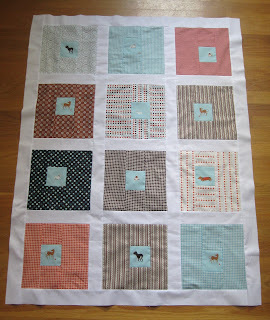 I pieced each block improvisationally. 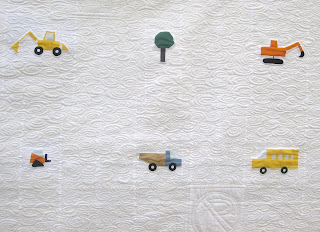 The wheels of the vehicles are applique. 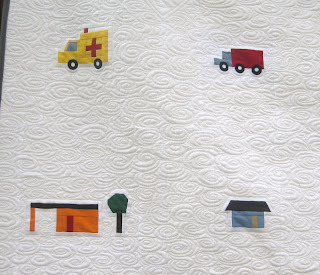 The quilt was custom machine quilted by Angela Walters. You can see the fantastic details she added. My favorite is this swirly tree! My little guy had his first birthday party with friends today. All 16 aprons were put to good use and went home with happy, messy kids. 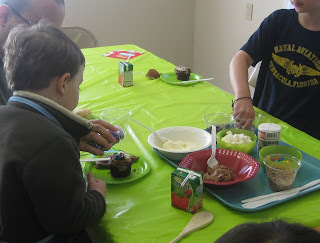 Pizzas were made and cupcakes decorated. I can't believe he's four.